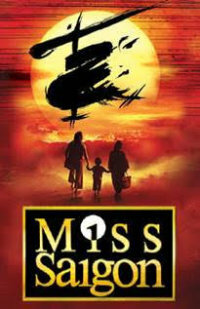 The initial casting and more dates for the UK tour of Miss Saigon which opens at the Leicester Curve in July has just been announced. Red Concepcion will play ‘The Engineer’, Sooha Kim is ‘Kim’, Ashley Gilmour ‘Chris’, Zoë Doano ‘Ellen’ and Gerald Santos ‘Thuy’. At certain performances ‘Kim’ will be played by Joreen Bautista. They are joined by David Allwood, Randy Chien, Vinny Coyle, Kristine Mae Diaz, Michael James Eborall, Aynrand Ferrer, Seng Henk Goh, Emily Beth Harrington, Jack Heasman, Tom Hier, Barnaby Hughes, Kamm Kunaree, David Kar-Hing Lee, Amanda Lingdren, Ela Lisondra, Winchester Lopez, Christian Rey Marbella, Jay Marsh, Tom Mussell, Thao Nguyen, Saori Oda, YoungJoo Park, Kiel Payton, Katherine Picar, Alistair So, Carl Jae-Suk Sohlberg, Eloisa Amalia Tan, Gavin Tsang, Amadeus Williams, and Gerald Zarcilla. Further casting to be announced soon. In addition to venues already announced, MISS SAIGON is now also confirmed to play the Manchester Palace Theatre (21 March – 12 May 2018), The Bristol Hippodrome (16 May – 23 June), Theatre Royal Plymouth (4 July – 4 August) and Norwich Theatre Royal (15 August – 15 September). Tickets go on sale in May with with more venues to be announced soon. Red Concepcion’s many theatre credits in his native Philippines include Adam/Felicia in Priscilla Queen of the Desert for which he won the ALIW Award and Gawah Buhay Award, Tommy in The Normal Heart and Alan Strang in Equus as well as the musicals West Side Story and Hairspray. Sooha Kim made her professional debut in this recent production of Miss Saigon at the Prince Edward Theatre where she covered the role of Kim before going on to play the role in the Japanese production. Her credits whilst training in Korea include Maureen in Rent and Carmen in Fame. Ashley Gilmour also appeared in Miss Saigon at the Prince Edward Theatre. His most recent credits include playing Link Larkin in the national tour of Hairspray. Zoë Doano’s many West End theatre credits include Cosette in Les Misérables, Johanna in Sweeney Todd and most recently Grazia in Death Takes A Holiday. She has also appeared in the national tours of The Sound of Music and High Society. Gerald Santos was the youngest ever winner of the biggest singing contest in the Philippines, Pinoy Pop Superstar. He has released five studio albums and has won numerous awards including winning twice Best Male Concert performer at the prestigious ALIW Awards.